As a private business, we are pleased to offer the very best value and service. 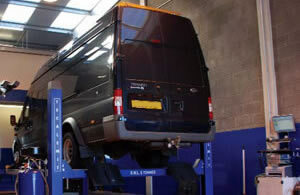 Our technicians are fully trained and our workshop features the latest equipment for MOT testing, 4 wheel alignment and diagnostic fault finding. We even carry out Digital Mileage Correction for main dealers who do not have the necessary equipment. Recent changes in the law allow you to have your new car serviced by us without affecting your manufacturer’s warranty. Our quality workmanship means you receive the same level of service as provided by a main dealer at much more competitive rate. We can remap your ECU to increase performance either with a standard off-the-shelf map or a custom remap created for your exact requirements. ECU Remaps can increase performance by releasing BHP and torque from the manufacturer’s conservative factory map which result in lower 0-60 times. Digital Mileage Correction can be neccessary where the mileage reading on your odometer has changed from the true value. This can happen when a car is jump started or when there is a fault with the ECU. We now offer Mobile Digital Mileage Correction and Mobile ECU Remapping. Moorfield Motor Services is a trading name of AG Motorsport Ltd. All content copyright© AG Motorsport Ltd. 2009-2014. All Rights Reserved.